I have attached one file above (download/file.php?id=12004&mode=view) with capsule cell but circle for balance is left in a gesture. may i completely remove the right circle and put a round edge rectangle? Thanks for those detailed instructions! I'll need to have my working file opened in Inkscape to be able to understand your step by step help. Since I will only get home late tonight, I may only be able to try it out in the next few days. As for the proposed capsule shape, now that I have seen how it looks against the larger circle on the left with the logo, I think the oval shape looks better. Let me try adjusting the "C" with your instructions and if it works out, I think I will stick with the oval. For now, please do not spend any of your time on the rounded rectangle. Most grateful for all your advice and help. thank you for these artworks. Glad that asqwerth redirected me here ! 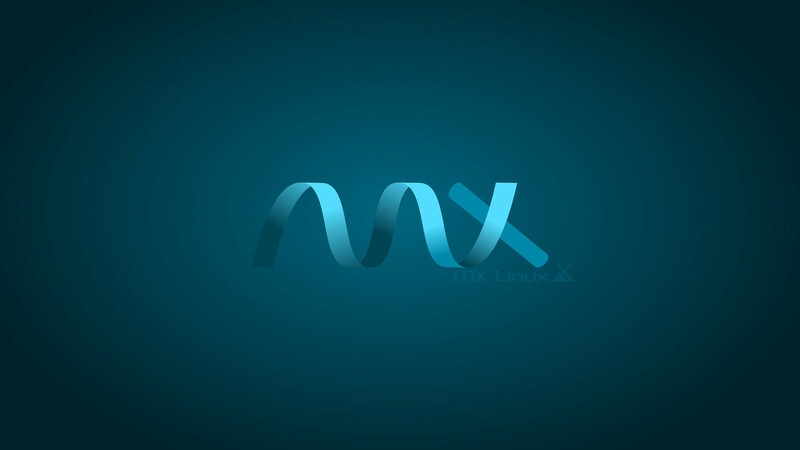 The MX Linux Material Blue is my favorite. May I ask what/who is your inspiration ? May I ask what/who is your inspiration ? Sorry for my delay in response as i am little busy with my professional and bread earning things..
and Thanks for your kind and lovely words for my art and creation. And thanks to asqwerth for remembering me and works. If talking about inspiration its Concept of GNU and love for GNU?Linux that inspires. I am no computer person and i cant help in any way writing code or programmes or even i dont like, rather fear command line things. From 1999 I am on xp, later vista then Window7, 8,10 and in 2012 i got interested i alternative os to windows in which malware and virus attack have killed me and my data. Started with Ubuntu and later got interested in Ubuntu Studio(I am a cinematographer and occasionally shoots video too and photography is tool for cinematography; although industry lives in Mac and adobe; i tried GNU to see if it can help), later in ubuntu studio its base based on Ubuntu gives me many problems like update and broken system, so i thought to try debian and as i said i am very very basic user ..debian proved not for me, so i came to MX finding many reviews in dedoimedo's review page. And MX proved. It require less system resources, it is user friendly, all things a user require are preconfigured like conky, system information, mx tools, backup......and many more for which i dont require to use command line and go for community to ask, although i ask many times how to do it, and find good and to the point answers in MX forum. I installed GIMP full, Inkscape, Raw therapee, Darktable, Kdenlive and i got almost Ubuntu studio. So Last words...I am trying to give back as with my little knowledge and capability to that OS which saves me, which runs me, which works for me. Although its quite impossible as per todays scenario to convince my Administration and crew and media house to use GNU/linux for movie and Production, bit i show them many times what GIMP can do as par Photoshop; what Inkscape can do as par Illustrator or coreldraw.. The MX Linux Material Blue is my favorite. I am little confuse with multilayer base, does it mean source file? Last edited by Auro Kumar Sahoo on Mon Aug 13, 2018 1:10 am, edited 1 time in total. Auro Kumar Sahoo wrote: ...(A hidden wish that if mx support and propose a KDE distro it will be more useful for multimedia work, as kde is now takes same ram and little cpu than xfce and quite stable, which i use on my laptop as Kubuntu. One of our developers Adrian has prepared an early test of an unofficial respin using KDE. Hopefully soon the iso will be made available to forum members for further testing. If you are interested you could help test it in due course. One of our developers Adrian has prepared an early test of an unofficial respin using KDE. Hopefully soon the iso will be made available to forum members for further testing. where can i get the ISO for testing? any link please. Really KDE support some applications better like Dolphin(Which is best file manger and supports preview for all files including image, raw and video too), Gwenview best photo manager and viewer, supports raw and preview generate are smooth and less time taking having little editing capability within, Kdenlive..
although i don’t like some kde applications but kde proves better in linux desktops for image and video work. Although i can install kde from software in MX, but it requires some work and knowledge and i want A kde as par with MX Xfce stability, tools and Trust. Not yet ready, I think. Usually there is some internal testing by a smaller team, then a wider one by the forum members. It's still in the early stage, like I said. Keep an eye on the forum for when the testing is opened to the forum in general. Added two new wallpapers to the collection. to change colour or style or any thing you find to improvise them. I made them on MX 17.1 with Inkscape and GIMP. Very handsome! I particularly like the flowing look, reminding me of an underwater plant such as kelp. 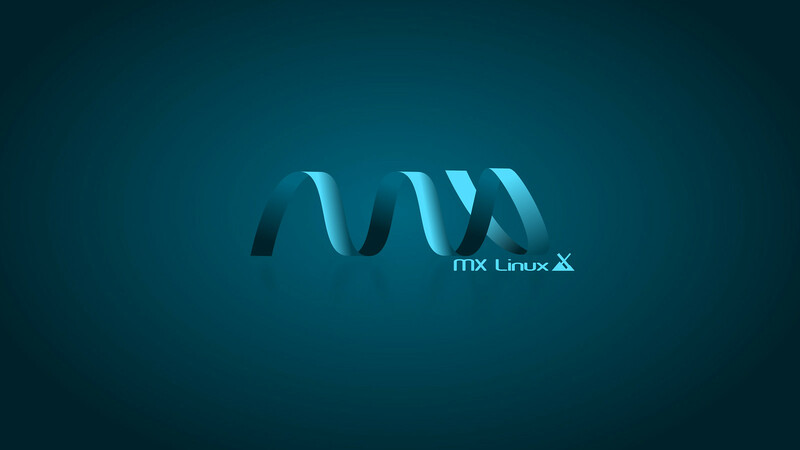 By the way, did you notice that your mx_wp_logo_line wallpaper is the very cool background being used for one of the plymouth splash themes provided by MX Boot Options?